With the final 10 episodes of the CW’s glossy ‘Gossip Girl’ hitting the airwaves Monday, fans are readying themselves to say goodbye to their favorite upper eastsiders. ‘Gossip Girl’ was never really a solid hit for the CW. It did have decent buzz at times, though. Still, the show has been so up and down where continuity is concerned, fans often found themselves on a roller-coaster of emotion and, quite frankly, quality. When the show started out, I think we were supposed to identify with the troubled Serena and her “strides” to become a better person. We were supposed to invest in her relationship with “lonely boy” and somehow hold them up as the show’s signature couple. Instead, bad girl Blair and bad boy Chuck literally came in and stole the show. Instead of Serena, fans became invested in Blair. Sure, she was a pouty party girl that had scheme after scheme blow up in her pretty little face – but in Leighton Meester’s capable hands, Blair became more than just an angry caricature. When the show paired her with resident bad boy Chuck Bass, I think even the show creators were surprised at the furor they unleashed. Chuck and Blair, aka Chair, became a legitimate phenomenon. 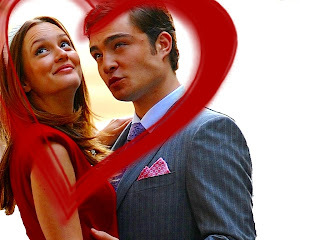 With the popularity of Chuck and Blair, the focus of the show somehow shifted. Serena was no longer the heart of all things ‘Gossip Girl’. Instead, that honor went to Blair. So, it’s no surprise, that when I sat down to figure out how I wanted ‘Gossip Girl’ to end – the biggest decisions revolved around Blair. 5. Dan needs to admit he’s just as bad as the people he writes about. The problem with Dan (other than the fact that Penn Badgley has absolutely no spark as an actor) is that Dan thinks he’s somehow “above” all this. He thinks that these girls and boys are vapid and shallow and totally obsessed with themselves. The truth is, they are. They’re teenagers. That’s the truth of all teenagers. Want a little more truth? Dan is just as bad as they are. Dan may fancy himself above these people, but the truth is all he’s ever really wanted is to be accepted as one of them. Whether chasing Serena or Blair, Dan was just as desperate of a social climber as they were. The difference is, Serena and Blair admit their shortcomings. Dan pretends his don't exist and – every time he does something wrong – he blames someone else for his shortcomings. It’s time, Dan. Grow up. Not everything is someone else’s fault. Blair didn't break up with you because Serena tricked you, she broke up with you because you're boring and she loved someone else. 4. Nate needs to find his personality. I think that both Nate and Dan could be two of the most charisma-free characters in all of television. Dan, at least, got hints of decent writing throughout the years. Poor Nate, he was like the forgotten stepchild in the ‘Gossip Girl’ world. After the initial Blair/Serena shenanigans, Nate really had nothing to do. Most of his stories revolved around some dippy damsel in distress or following Chuck and Dan around. How did that happen? 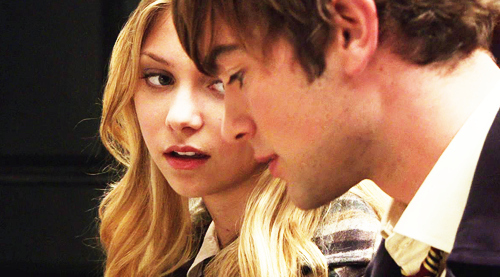 I was never really a fan of the Nate and Serena pairing. However, if she is going to end up with Dud 1 or Dud 2 – make it Dud Nate. Anything is better than Dan. 3. Eric needs to be Gossip Girl. I was never happy with how they just dumped Eric’s character. 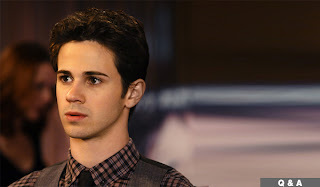 He was just as important as Serena – and it would have been nice to see a gay teenage character that was fleshed out on something other than a musical show. I always found it interesting how Eric was teetering on the line of two different worlds. Eric’s soul told him to take the high road and be the person no one in his family had ever managed to be. Eric’s social circle sometimes dragged him down into the muck, though. And when he was down in the muck, man Eric could play dirty with the rest of them. If they’re going to reveal Gossip Girl’s identity – which I’m not necessarily sure is mandatory – then I hope we find out it’s Eric and the column was a way to stick it to the people that always managed to drag him down. Then again, maybe I just want to see the actor again. 2. Rufus needs to move on. I was actually rooting for Lily and Rufus for a long time. Sure, it was creepy that their kids were (sometimes) sleeping together – especially when we found out they shared a sibling. There was something poignant about the Rufus and Lily relationship, though. You always got the feeling that Lily was trying to overcome her own inner demons so she could embrace the life she didn’t know she wanted. After last season, though, and the way she reunited with Bart Bass (a man that treated her horribly), I hope that Rufus humps half of upper Manhattan and rubs it in Lily’s face as he does it. Too mean? I really don’t care. I have lost any empathy I ever had for Lily. The only thing that could possibly fix her in my eyes is if this whole staying married to Bart thing is an act cooked up by her and Rufus to help Chuck. I'll believe that when I see it, though. 1. Chuck and Blair need to get their “happily” ever after. I know it’s trite. I know that, if Chuck and Blair were real, they would never get a happily ever after. Their lives would always be tumultuous and dramatic and full of schemes. Still, part of me wants to believe that, despite everything, Chuck and Blair will always find their way back to each other. It’s been a long road for these two. They’ve both screwed up -- massively. They’ve both (disastrously) dated other people. Still, their hearts have always belonged to each other. Now, I know that we aren’t going to get 10 episodes of bliss with them. We better get a great romantic reunion by the end, though. After all the jerking around they’ve had to deal with, “Chair” fans deserve nothing less. What do you think? What do you want to see happen before the end? 4. Nate needs to find his personality- They need to give Nate a story line. Period. 5. Dan needs to admit he’s just as bad as the people he writes about. -"The problem with Dan (other than the fact that Penn Badgley has absolutely no spark as an actor) is that Dan thinks he’s somehow “above” all this. " and "Not everything is someone else’s fault." Perfectly said. I can't add anymore. I think she's seen the show and she .like so many others, doesn't like Dan. Umm, Penn is actually getting awards buzz for his role as Jeff Buckley in Greetings from Tim Buckley... the Gloe and Mail said he's "academy worthy", every critic is raving about him. Check out some of the reviews.